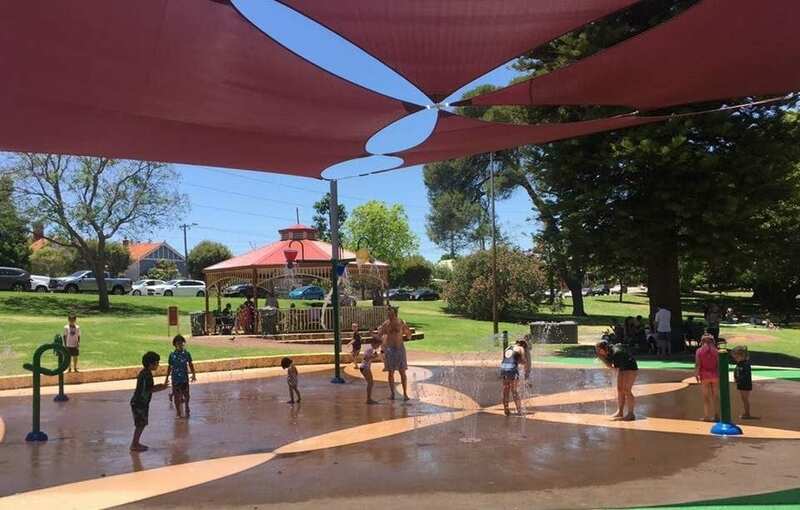 Found near the Ellenbrook library, Rainbow Waters water playground has 15 interactive water features including fountains, bubble jets and spray guns! 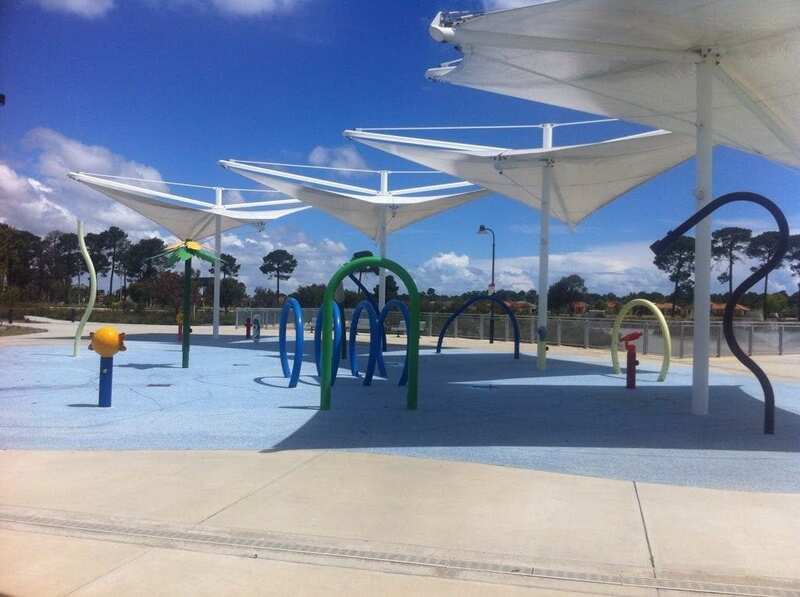 Kids of all ages have great fun using this splash pad and water play area. Find Rainbow Waters at Library Avenue, Ellenbrook. 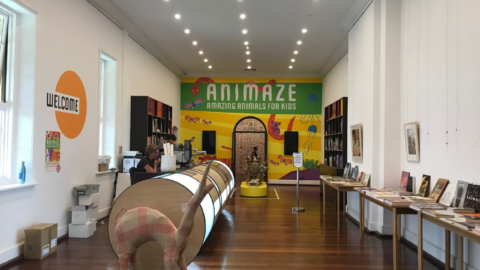 Open September to May daily from 9am to 7pm. One of the most exciting features of this new playground is the splash pad. 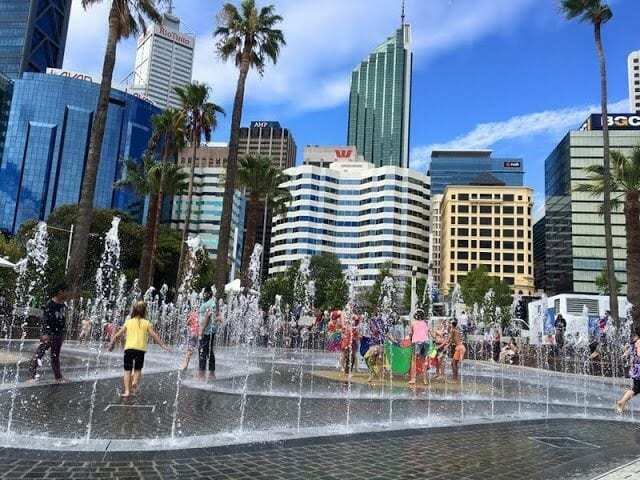 The water playground is operated by push buttons and its features include interactive spouts, showers, jets and sprays. There are two pelicans sitting on top of a pole – their beaks fill with water and tip down when full. 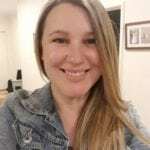 Find Kwinana Adventure Playground at Walgreen Cres, Calista. 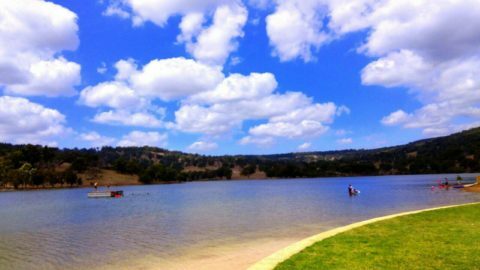 Facilities – Shaded, BBQs, Picnic Tables, Toilets, Playground. Found on the northern side of the leafy Hyde Park is the shaded splash pad featuring lots of equipment for all ages. There’s tipping buckets, spray guns and lots of water jets too. The water runs on a timer and turns off after every 10 minutes or so. Find Hyde Park Water Playground at Vincent Street, Highgate. Open November to March daily from 8am to 8pm. A recent addition to the popular Kinkuna Adventure Playground is a fun splash pad. The jets and fountains run on a timer. There are some jets that spray like a shower from above. Most of the water features shoot out of the ground below in different patterns. 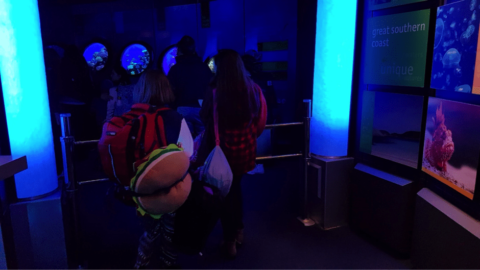 Kids of all ages will have a ball here! 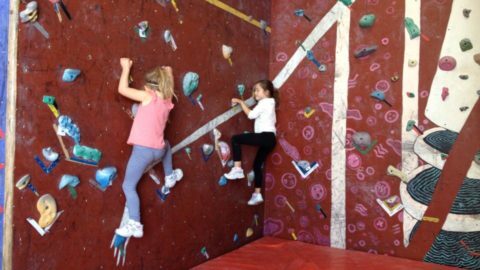 Find Kinkuna Adventure Playground at… Allara Estate, Revolution Avenue, Eglington. Facilities – BBQs, Picnic Tables, playground. Found at the busy Cockburn Central shopping centre, there’s a water playground with spouts which squirt at different patterns, keeping kids guessing where they are going to pop up next! There’s a grassed area next to the water playground, which is a great spot to throw down a rug. 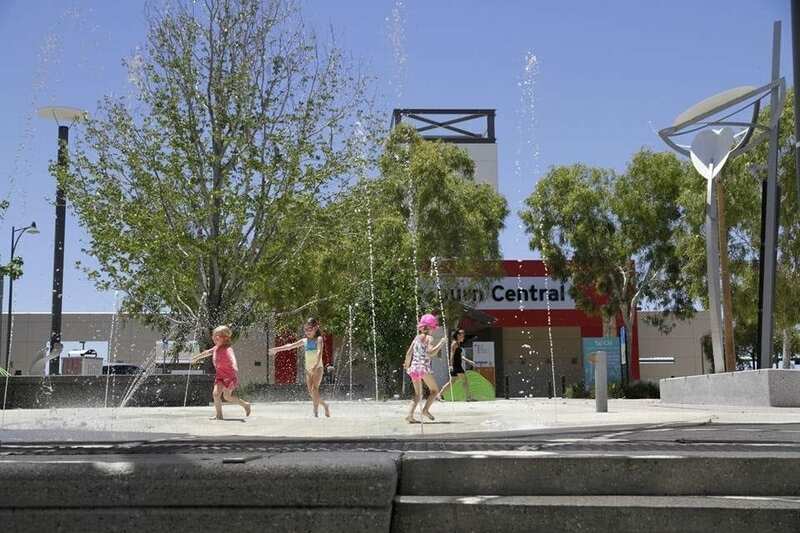 Find Cockburn Central Water Playground at Junction Boulevard, Cockburn Central. 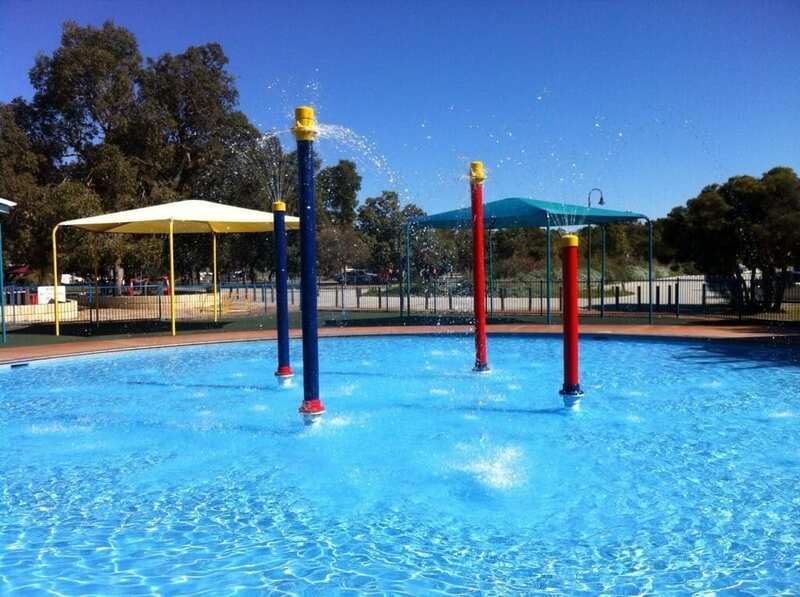 A firm family favourite is the Whiteman Park paddling pool. The cool pool is 30cm deep, perfect for little ones to have a splash and paddle. The pool also features tall water spouts which spray water in all directions! The pool is surrounded by a soft fall area. Open end of October until the end of the April school holidays, 10am to 5pm daily. 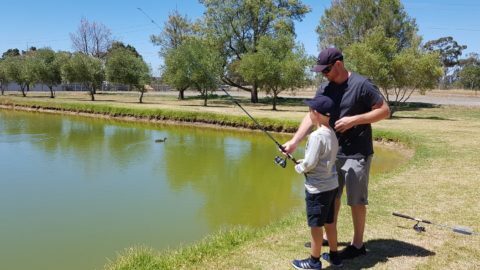 Find Whiteman Park at Lord Street, Whiteman. 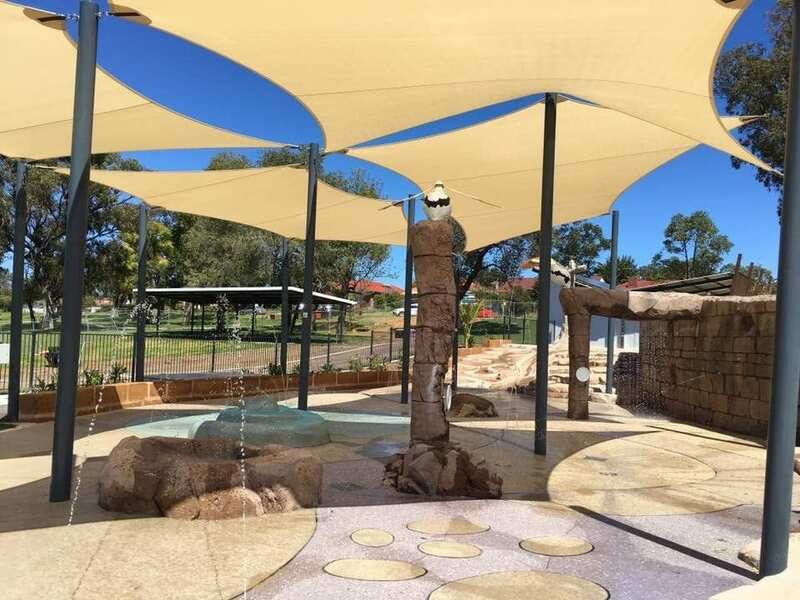 Facilities – shade, BBQs, toilets, Picnic Tables, playground. 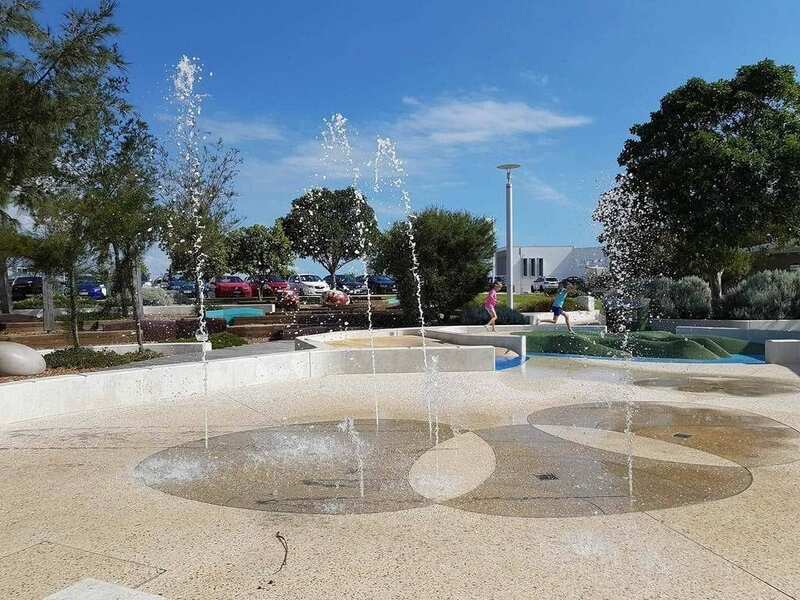 At the popular ocean side development, you’ll find a small splash pad area which is guaranteed to keep young children happy as they play in the water fountains. There’s also a calm and sheltered beach right next to it. Open daily October to May, 8am to 6pm. Facilities –BBQs, toilets, Picnic Tables, playground. 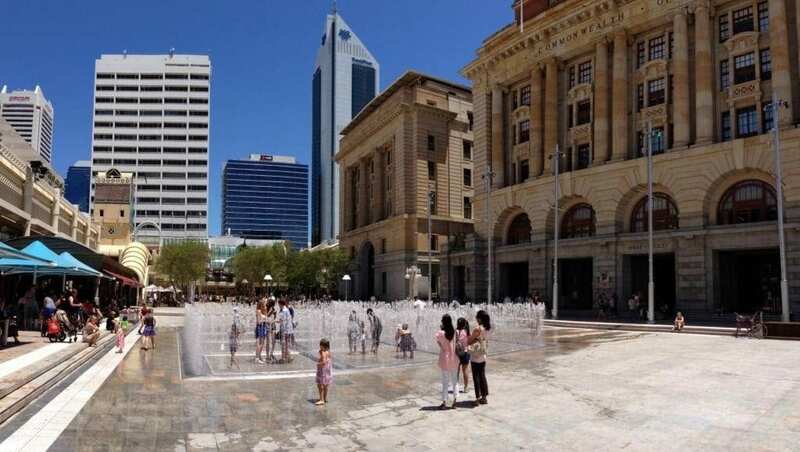 In the heart of the city you’ll find an interactive water sculpture – the Water Labyrinth. 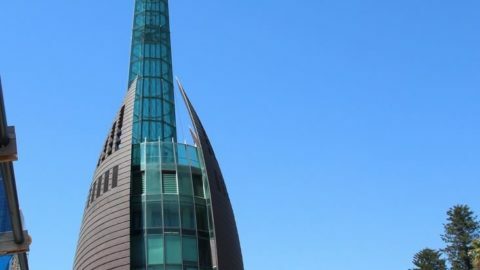 This family-friendly attraction features jets of water that shoot into the air to create nine “rooms”. If you’re in Perth for Friday late night shopping, the water feature looks stunning as it is lit up in the evening. Find the Water Labyrinth Perth at Forrest Place, Perth. 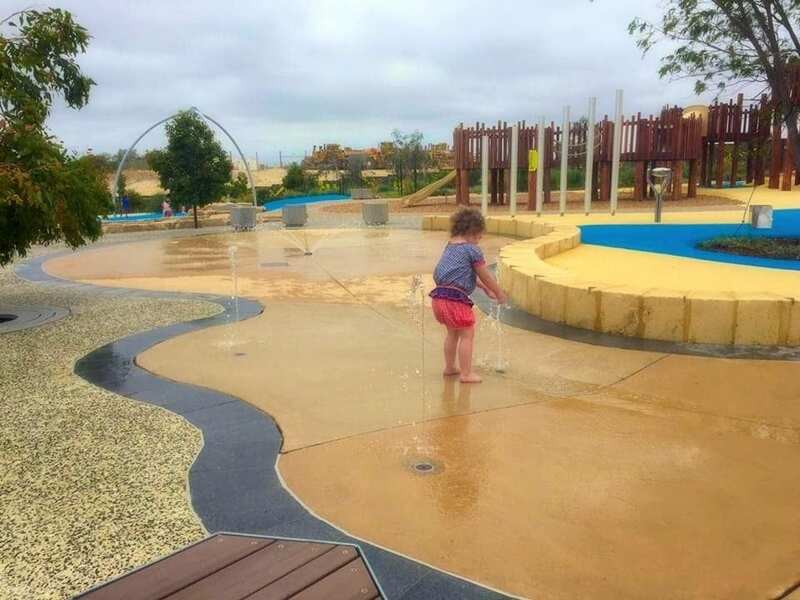 At the HUGE new Bibra Lake Regional Playground there is small and fun splash pad. A grove of giant metal reeds, with sprinklers attached, shower kids during the summer months. Remember to pack the bathers when taking the family to this brilliant park. 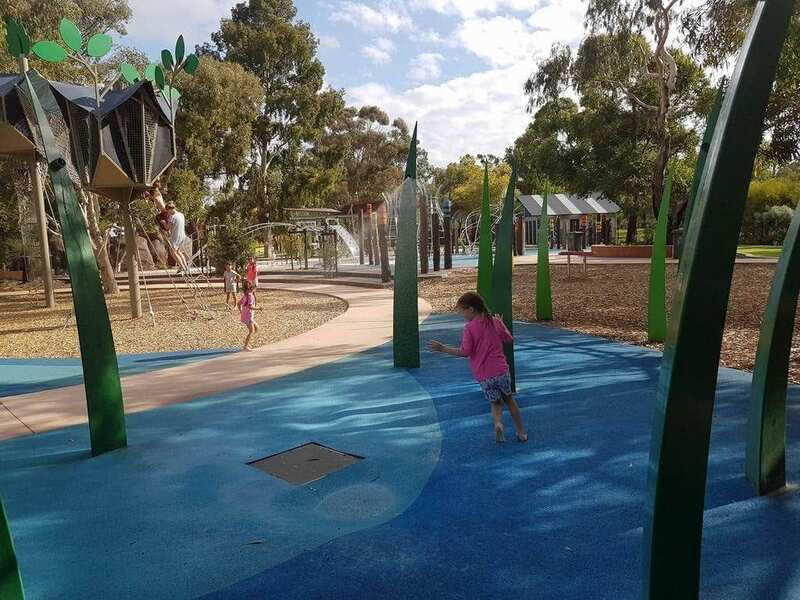 Find Bibra Lake Regional Playground at Progress Drive, Bibra Lake. 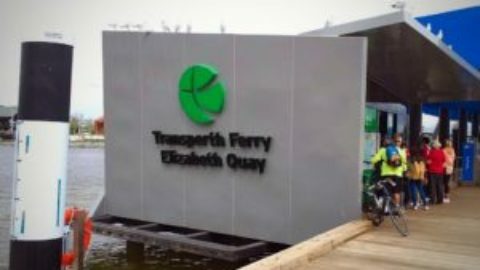 Found at Elizabeth Quay the water park features a central “island” that is bordered by three smaller circular “islands’” surrounded by water jets. 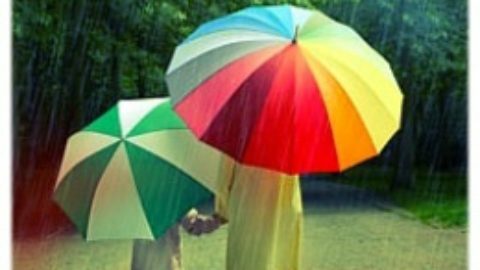 There’s little and large water fountains, puddles to splash in, as well as misty clouds for kids to play in. 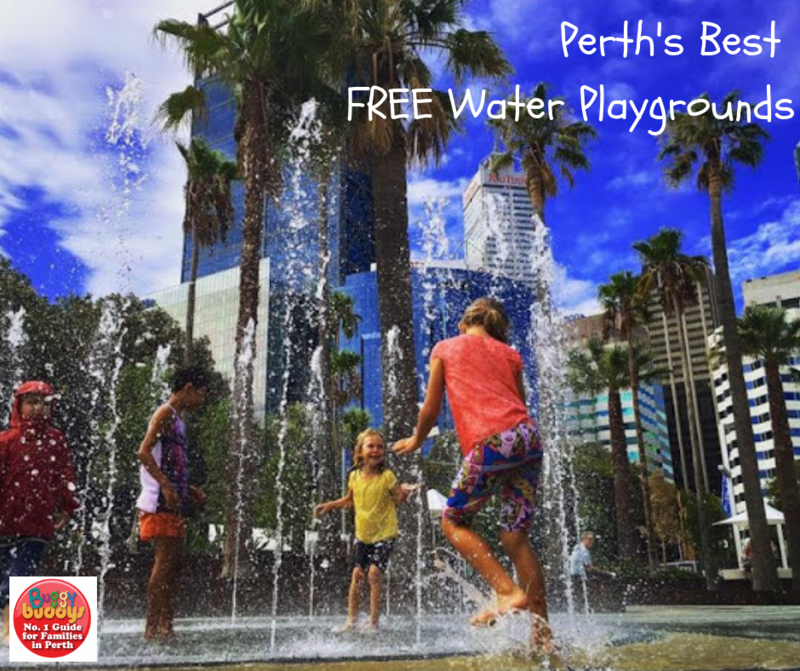 Find BHP Bilton Water Park at Elizabeth Quay, next to V Burger Bar. Facilities – toilets, change facilities, picnic tables, cafes, playground. Have we missed your favourite free water playground? Let us know!